Thanks to the hard work of a dedicated group of volunteers, we are fortunate to have wonderful gardens around the Nature Center. 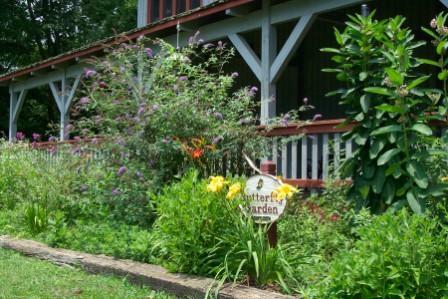 The front of the building is graced with a dramatic butterfly garden; in back is a wildflower and herb garden with a wheel-chair accessible ramp and gravel walkway. In addition, we now have a wonderful native wildflower walk in the wooded area just down the hill from the Nature Center. Volunteers are always needed in the gardens to help with planting, weeding, marking plants, keeping up the wildflower trail, etc. All of the gardens are approved projects for Master Gardener volunteer hours. You can work either evening hours or daytime hours. In addition, garden workdays are scheduled from time to time throughout the growing season, from early spring through the fall. Gardening expertise isn’t necessary; all that’s needed is the interest and enthusiasm to enjoy the out of doors and the willingness to get a little dirty. If you’d like to help out with any aspect of our garden projects, please let us know by e-mailing us at [email protected]. With the help of generous donations of many of our members and supporters, Steele Creek Park’s tree trail is certified as a registered arboretum in the state of Tennessee. The trail begins near the picnic area along Steele Creek where it enters the Park, and follows the paved path toward the knobs. Currently, more than 30 different species of trees are included. 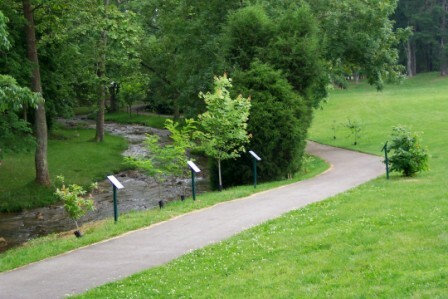 Other regional arboretums are located on the campuses of King College and East Tennessee State University and at Sycamore Shoals State Park. Two special aspects of our arboretum are particularly noteworthy. First, in keeping with the current philosophy of the park staff to focus on native flora and fauna, all of the species of trees are native to northeast Tennessee. In addition, each tree has its own large interpretive sign. In the near future, we hope to develop a printed guide providing more detailed information about the trees. We would like to expand the arboretum to include as many native species as possible. To do so will require additional donations to cover the cost of the new trees, as well as the interpretive signs. 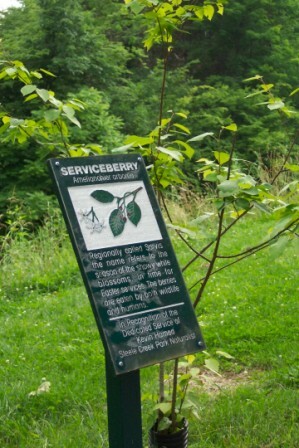 Signage includes brief information about each tree and a note of recognition, if desired, for donors or honorees. The cost of each sign is $200, plus an additional cost to purchase a new tree. If you are interested in helping with this project, or would like more information contact us by e-mailing us at [email protected] .